The following are examples of program development opportunities completed by L&S Energy Services. In February 2013, L&S was one of three consulting firms requested by NYSERDA to participate in a comprehensive review and assessment of the new Combined Heat and Power program and the updated CHP Systems Manual. This work required developing comments to clarify the solicitation. L&S also developed recommendations for the program offer and suggested CHP Systems Manual. During several collaborative roundtable meetings with NYSERDA, L&S (and the other consultants) provided input into proposed program changes. In the past three years this has included 219 studies reviewed or in progress. The purpose of the IT Efficiency M&V Working Group is to develop a Measurement & Verification (M&V) protocol that will be used to define energy efficiency of IT equipment and data optimization strategies on a “per unit of useful data processed” basis. This protocol will be applied to projects as part of NYSERDA’s Data Center focus within the Industrial and Process Efficiency program. The metrics and M&V protocol developed in tasks 2 and 4 took into consideration present day technologies and be realistic to those limitations. Supply-air temperature reset controls. Multiple zone HVAC systems must include controls that automatically reset the supply-air temperature in response to representative building loads, or to outdoor air temperature. The controls must be capable of resetting the supply air temperature at least 25 percent of the difference between the design supply-air temperature and the design room air temperature. Air system balancing. Each supply air outlet and zone terminal device shall be equipped with means for air balancing in accordance with the requirements of Chapter 6 of the Mechanical Code of New York State or, in New York City, the New York City Mechanical Code. Discharge dampers are prohibited on constant volume fans and variable volume fans with motors 10 hp (7.46 kW) and larger. Each code change was modeled in several building types under different operating schedules and utility rates. The purpose was to evaluate effectiveness of the code change. L&S Energy Services was contracted by ASHRAE to produce the Energy Efficiency Guide for Existing Buildings. This is the first in a series of ASHRAE guides targeted at existing buildings. The purpose of the first volume is to make the business case for building owners and managers. The second volume is targeted at building managers and engineers. If the SEP and occupant comfort levels are confirmed and acceptable, a professional engineer from L&S stamps the SEP and approves the facility for Energy Star recognition. Energy Star inspections have been performed on NYSERDA headquarters in Albany and 37 school buildings to date. L&S was one of the outside reviewers on the development of New York CHPs. NY CHPs is targeted to school buildings and is more focused on the needs of NYS schools than LEED. L&S participated with other members of the review committee to review draft sections of NY CHPs. We participated in review meetings with NYSERDA and the New York Education Department. L&S has also performed CHPs reviews for two school districts. 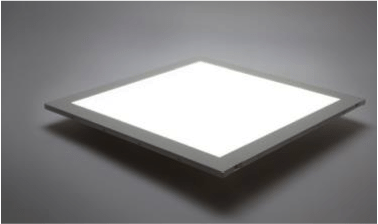 Solid State Lighting utilize light emitting diodes (LEDs) to the light source within the lamp. Benefits of LED lighting include long-life and reduced energy use. However, market barriers include high initial cost and lack of product diversity (fewer lamp options). Currently, NYSERDA provides incentives through EFP and IPE for lamps that are found on the Energy Star or Design Lights Consortium listings. At present there are few, if any, linear or tubular LED lamps on either of these two product lists. 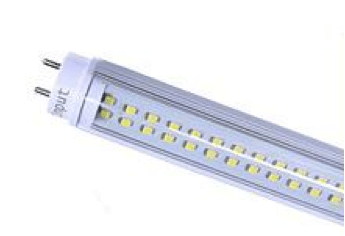 Several manufacturers have begun to make and market LED lamps that are ‘pin-compatible’ with standard T-8 lamps. 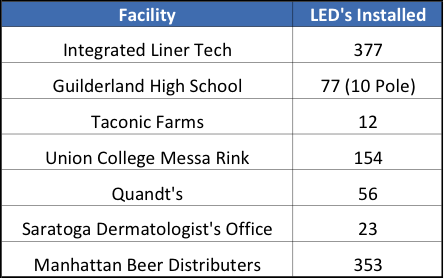 L&S has completed evaluations of linear LEDs at eight customer sites. Barriers to implementation were high initial cost, unfamiliarity with technology, uncertainty of replacement availability, lack of firm and verifiable data on energy savings and lamp life. 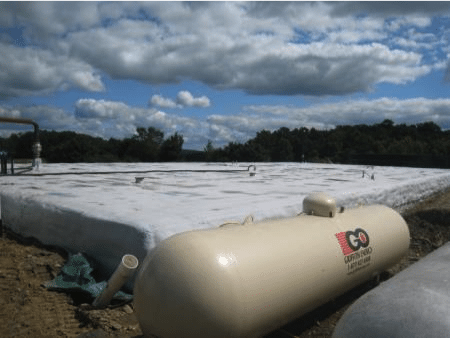 From 2011 to 2013, L&S evaluated several Liquid Refrigerant Pumping applications. The objectives of our work were to concisely evaluate the energy savings and economics of this under-utilized technology. For many commercial and industrial refrigeration systems, supplying excess refrigerant to the evaporators will result in an increase in heat removal capacity. Pumping refrigerant from the condenser to the evaporator coils allows a significant reduction in system head pressure. Lowering head pressure results in a reduction in compressor loading (bhp). This approach is commonly referred to as liquid refrigerant pumping. L&S completed comparative measurement and verification of the liquid refrigerant pumps. Our engineers install real-time recording meters to track electric usage every five minutes. 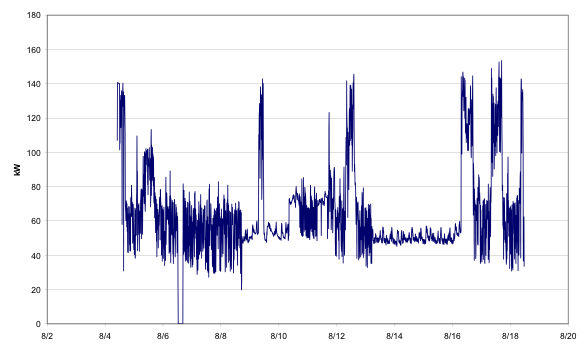 Ambient (outdoor) temperatures were also recorded at the same intervals. By completing a thorough before vs after comparison of the electric use (in total and also in pattern), L&S develop various regression equations that characterized performance. Total electric savings, extrapolated to an entire year, were then calculated. ADG systems are an under-utilized technology. There were 610 Waste Water Treatment Facilities in New York State registered with DEC, as of 2004. According to the Cornell Cooperative Extension there are 5,400 dairy farms in New York State. At over 6,000 potential facilities, ADG is a technology well worth considering for accelerated commercialization. The NY State Service Commission authorized funding for an ADG to Electricity Program. The funding and program are administered by NYSERDA. Waste water treatment plants and dairy farms produce sludge and manure. These byproducts can be cycled through an anaerobic digester to produce methane gas. The gas is conditioned and burned as fuel in an engine-generator. The electricity from the engine-generator is used to power the facility, and feed back to the grid. Exhaust heat from the engine-generator is used to heat the digester and other areas. L&S Energy Services provides technical consulting services to NYSERDA for the ADG program. L&S assists in application review, writing and reviewing measurement and verification (M&V) plans, review of requests for incentive payments, site inspections and general technical support. Project Application (PA) Review: L&S completed a review the project application for compliance with the rules and procedures of the CHP Program. This includes reviewing the eligibility of the CHP system, the completeness of the application submission and the reasonableness of savings estimates. L&S maintained contact with the Applicant to explain/review the program guidelines and request additional information as necessary to complete the review. The deliverable associated with this task is a PA review report and funding recommendation. Based on the DEA, L&S developed a recommended NYSERDA program incentive. The deliverables associated with this task are a DEA review report and incentive recommendation. Pre-Installation Site Inspection: L&S completed a site inspection to verify the pre-installation site and equipment configuration/operation. L&S also confirmed the DEA information through the on-site visit. Develop M&V Plan and Instrumentation Specifications: L&S worked with the Applicant to review program M&V requirements and the Instrumentation Plan (IP) that included a list of proposed monitoring instruments, along with a system schematic showing the location of each instrument. If the submitted IP was inadequate or incomplete, L&S worked with the Applicant to develop an acceptable IP. L&S also assisted and coordinated with NYSERDA’s Monitoring and Data Collection Contractor to ensure an adequate M&V Plan was in place. The deliverable associated with this task was a memo stating the current status of the plans. Design Review: L&S reviewed the Schematic Design submitted by the Applicant to ensure all program design requirements were met. These included identification of major system components, maintenance requirements, installation details, permitting, commissioning requirements, etc. The deliverable for this task is a Schematic Design Review Memo summarizing the review process, resolved and unresolved concerns with the design, and, if applicable, any follow up actions that will be taken by either L&S or the Applicant. Commissioning Requirements Review: L&S reviewed the required project Commissioning Requirements and worked with the Applicant to obtain the required documentation and reports. The deliverable associated with this task is a memo to the NYSERDA Project Manager specifying the status of the commissioning process. Project Installation Report (PIR) Review: L&S reviewed the PIR submitted by the applicant upon installation of the total project to ensure the installation was completed in accordance with program rules and the proposed applicant workscope. Specific items verified were results of NOx testing, M&V instrumentation functionality and initial system annual fuel conversion efficiency. 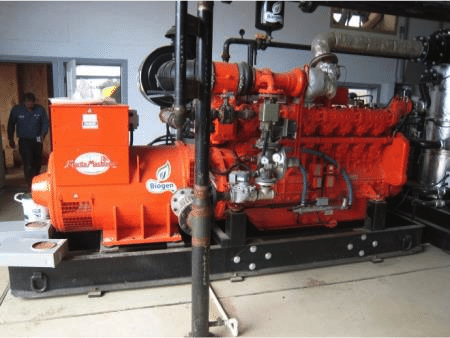 L&S conducted a site inspection to verify that the equipment detailed in the applicant’s submitted PIR and the M&V plan were accurate and reflected the actual equipment installed. L&S also reviewed the final commissioning report. The deliverable associated with this task is a memo to the NYSERDA Project Manager specifying its completion and a summary of resolved issues. Project Monitoring Phase: L&S prepared an annual savings report for the applicant and NYSERDA to review at the end of the first and second years of measured performance. L&S completed site visits to monitor compliance with the approved project. The deliverables associated with this task included (1) year one M&V report and incentive payment recommendation and (2) year two M&V report and incentive payment recommendation. 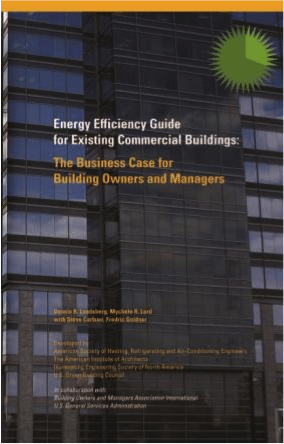 L&S has authored two books for ASHRAE on building energy efficiency as shown below. These guides included numerous analyses to serve as examples. Objectives of these guides are to illustrate perceived hurdles in the marketplace and provide information to building owners and managers on how to overcome them. These guides provide a venue for the dissemination of results and document real-world customer experiences. L&S was contracted by ASHRAE to produce the Energy Efficiency Guide for Existing Buildings – Making the Business Case. This is the first in a series of ASHRAE guides targeted at existing buildings. The purpose of this volume is to make the business case for building owners and managers. L&S Energy Services was contracted by ASHRAE to produce the Energy Efficiency Guide for Existing Buildings – Technical Implementation. This is the second in a series of ASHRAE guides targeted at existing buildings. This volume is targeted at the building operator.